Royal Panda has found itself yet another big winner, as Polish slots fan Beata collected a whopping $89,712 in winnings at the international online casino. Beata was spinning the reels of the Wild Rockets when lady luck was on her side. One of her spins resulted in a staggering $41,049 windfall. 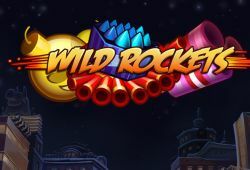 At the end of the extremely rewarding Wild Rockets session, Beata had collected a stunning $89,712 in winnings at Royal Panda.